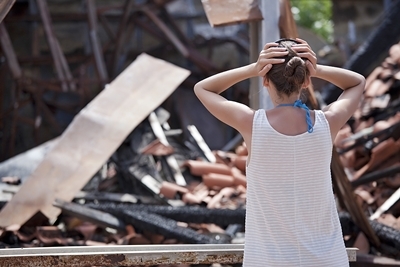 The shock and trauma of a fire attacking your property is unbearable. Getting the fire out and stabilizing the property are, of course, your total focus. 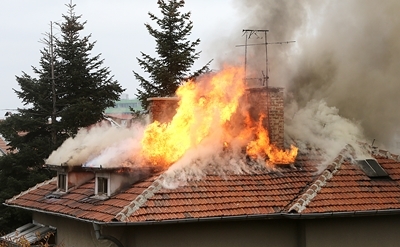 But then, it is critical that you immediately contact an experienced expert in fire & smoke restoration. CRM Services LLC is the regional leader in providing one-stop, single-source restoration services to assess, coordinate and efficiently deploy whatever services are needed to get your life back as quickly and as cost-efficiently as possible. Including completing the confusing insurance forms, dealing with claims adjusters and with the insurance companies to ensure you get the maximum insurance settlement possible without delay. Most of the materials found in furniture, flooring and many building materials are synthetic. When burned, they can create a variety of complex chemical reactions. After only a few days, these items go from cleanable to unsalvageable. Since various materials react to fire, heat, and smoke differently, CRM uses a safe, specialized, IICRC-Certified cleaning process with the latest technology and equipment to quickly stabilize the environment and begin returning your property back to its pre-loss condition. It’s imperative to start the restoration process “in a timely manner” to minimize these complex chemical reactions. CRM performs all necessary services required by your insurance company to preserve, protect, and secure your property, as well as inform you about the process(s) to be used to restore/repair the contents and structures affected. So we have the knowledge, skills and experience to provide and coordinate whatever carpentry and other building trades are needed to help you get back to normalcy quickly. We also work with your insurance representative as a restoration EXPERT, not just as a general contractor, to help return your property back to its pre-loss state as quickly as possible. Don’t take chances. Call the CRM Services Restoration PROS 24/7/365 for a Free, No-Obligation, No-Hassle Estimate at 678-540-8606… or click on the LIVE CHAT button in the corner of this page for 24/7/365 assistance.